Welcome to ‘Why You Should: Play’, a monthly video series where we explore games from the past and why they’re still worth playing if you haven’t yet. While this is the first episode of “WYS:P” it’s sister series ‘Why You Should: Watch’ can be found on the same you tube channel but will only be featured here on iMG when its focus is video game related. This accompanying article will be exclusive to iMG so you there’s always a good reason to check the videos out here, but if you’re interested in the ‘WYS’ show then I suggest you subscribe to the YouTube channel where you’ll get episodes more frequently. So let’s talk about Metroid Prime; first released in 2002 and being a Nintendo franchise it was only available on the Gamecube, although it has since been released as part of the Prime trilogy on the Wii. You will also see it looks pretty amazing in full HD, which is due to it being run on an emulator with a powerful PC. 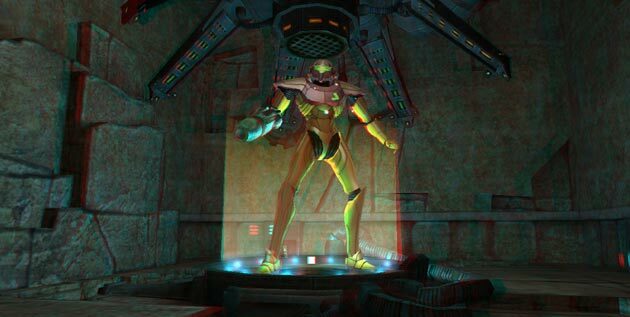 Metroid Prime was the first entry in the series to be in 3D. 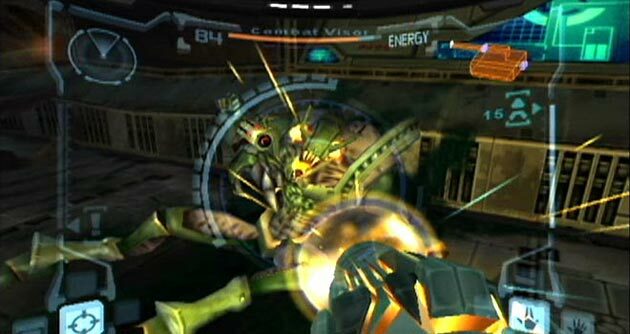 The series had skipped the N64 completely so the very thought of a First Person based Metroid game seemed to un-nerve most, especially when compared to Castlevania; (a similar game play and exploration style to the 2D Metroid titles). The Castlevania 3D games had been complete failures in terms of gameplay, and critical reception had forced the games to re adopt 2D style gameplay. Fans were quite rightly worried about the same fate befalling the Metroid series, though spirits were raised after the Game Boy Advance game Metroid Fusion had been well received. Although the term wasn’t really popularised at the time and you could argue that Prime gave true birth to it, the game is more a first person adventure and role playing game than a traditional FPS, in that it’s just about the opposite of what was expected of an FPS, and now a days with Call of Duty reigning supreme, its true even more so. Exploration was first and foremost the priority, with combat taking a steady second; you weren’t led by the hand through scripted events, but were given the chance to explore at your own pace and were encouraged to do so. The most significant achievement of Prime was that it successfully made a 2D Metroid game in 3D. Even Mario 64 had changes to how the format of the game worked, but Metroid was just as before, so much so that you could have just made the game in the 2D engine and it would have worked. One of the reasons the game works so well as a first person game is because traversal in the game is handled so well; as any avid FPS player will have experienced the failure of FPS games when it comes to plat forming at some point, yet Prime succeeded when all others had failed. Prime did not give you pin point places that you’d need to jump to, but gave you wide open areas with wide ledges that you could easily get to, making it more fun than taxing, though with save points being plentiful around the game you were never punished too badly. If you die falling from a ledge, you would just incur a small health decrease. The one other major factor Prime had that other games did not was a targeting lock on system similar to that of the Legend of Zelda games; once locked on you could dash around enemies and fire from your gun would automatically be on target allowing you to deal with avoiding enemy fire, weak points could also be locked onto for bosses meaning aiming for the head was a non-issue. At its core, Prime is a fun adventure game that just happens to be played from a first person perspective and if you keep that in mind going in, you’ll find something that rises above today’s expectations and offers something more than the average military shooter that’s the unfortunate norm these days. That’s ‘Why You Should Play’ Metroid Prime!